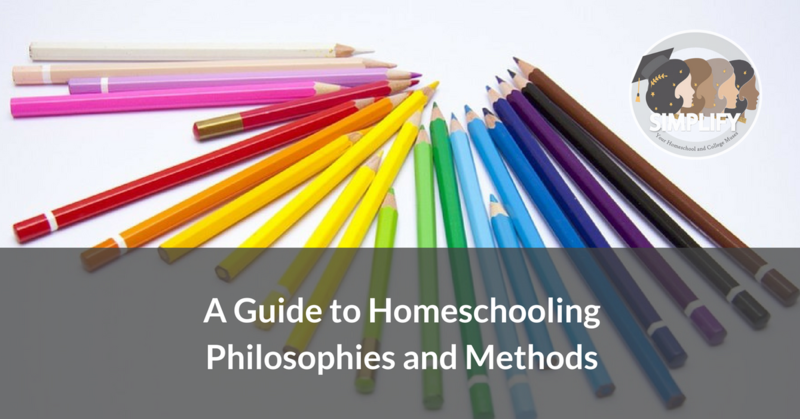 There are a lot of different approaches and philosophies popular in the homeschool world. No one is necessarily better or worse and many homeschoolers combine elements of different philosophies. In a Nutshell: Traditional homeschoolers, or “school at home” homeschoolers, don’t have a problem with basic schooling methods like textbooks or worksheets. They’re homeschooling for other reasons entirely. As such, traditionalists look for high quality textbooks and workbooks, either in physical form or online. Some families taking this approach are most interested in using old-fashioned materials that emphasize a “back to basics” approach. Others are most interested in using current materials, such as Common Core compliant texts. The Fans: Families who take this approach like that it can make it easier to keep them in line with what schools are doing. They often have a practical approach to schooling that traditional style learning fulfills. The Critics: Critics have a variety of problems with “school at home” methods. Some say it’s dull or not creative, while others say it’s not rigorous enough. Selected Resources: Textbook providers that sell to schools, such as Pearson and Scholastic will sell materials to homeschoolers, though some require proof that the buyer is actually a homeschooler. Many families who follow this approach like the What Your __ Grader Needs to Know series by E.D. Hirsch for making sure they’ve met a checklist of skills and information. In a Nutshell: Charlotte Mason was a nineteenth century British educator whose ideas about tutoring children at home are still popular in homeschooling circles today. Charlotte Mason method, or CM, emphasizes a need for children to be outside in nature, to learn to pay close attention to information as it is presented, and to use what Mason called “living books” instead of dull textbooks for instruction. CM focuses on a sort of old fashioned simplicity and educating the whole child. The Fans: CM families like the simplicity of focusing on high quality books as the center of education. The Critics: Critics of CM say it’s too stuck in the past and that Mason’s ideas don’t prepare students for the modern world. Selected Resources: There are several Christian and secular CM curricula available online, some for free. Mason’s original works are available copyright free online and Ambleside, a Christian CM curriculum, has created free online versions with modern language. The Writer’s Jungle by Julie Bogart is a book about writing for homeschoolers that is influenced by Charlotte Mason’s ideas. In a Nutshell: Waldorf is based on the ideas of Rudolph Steiner, a nineteenth century educator who founded schools in Europe. Waldorf emphasizes imagination, nature, art, and the importance of basic skills like sewing and baking. Instruction in reading, writing, and math is delayed and early academics are presented gently, often in story and song format. In Waldorf, students make their own books rather than using textbooks. The Fans: Waldorf families love the emphasis on imagination and beautiful things, including high quality art materials, play silks, and incredibly crafted dolls. The Critics: Holding off on academics isn’t a great idea for all children. The insistence that technology is bad feels too strict to some families. Some critics see a racist streak in Steiner’s original writings or dislike Steiner’s ideas on religion, which he wrote about more than education. Other critics feel that Waldorf emphasizes a particular idea of imagination and beauty over individuality. Selected Resources: Oak Meadow is the most popular Waldorf influenced homeschool curriculum. Making Math Meaningful is a Waldorf math program for homeschoolers. A number of Waldorf curriculum outlines for schools or homeschoolers can be found online, often for free. In a Nutshell: Montessori methods are based on the ideas of Maria Montessori, a nineteenth century Italian educator who worked primarily with young children. Montessori emphasized the need for children to have carefully prepared environments where they could discover how the world worked. These environments include specific things, including scaled down tools for children and special “Montessori materials” meant to teach lessons about math, geography, letters, and more. Montessori materials are often sensory focused, such as textured letters for children to feel as they learn their letter shapes. Montessori educators spend time observing students to encourage their development. The Fans: Montessori families love the individual focus on a child’s own timetable for learning and discovery. The Critics: Some families are turned off by Montessori’s emphasis on work instead of play. Homeschoolers often find it hard to implement this approach because the materials can be expensive and inaccessible. Because Montessori primarily wrote about younger children, it does not apply much to the middle and high school years. Selected Resources: Maria Montessori’s original works are available copyright free online. Right Start Math is a Montessori influenced math program meant for homeschoolers. Montessori materials can be found at a number of stores, including Montessori Outlet and Nienhuis. However, you may find the best deals on Etsy or by making materials yourself. Pinterest and blog posts about how to do so abound. In a Nutshell: Classical education aims to prepare students to join “the great conversation,” an ongoing academic process whereby scholars, having gained fluency in the ideas and writings of those who came before them, can reference those ideas and add their own. To do this, classical education conceives of three stages of learning: the grammar stage, when students are primarily memorizing information and learning basic skills, the logic stage, when students begin to perform deeper thinking tasks, and the rhetoric stage, when students read through the Western canon of great books. Classical education emphasizes formal grammar, logic, Latin, and the humanities in general. One popular take on classical education uses a four year “cycle” of content topics, teaching history chronologically and the sciences individually, three times, once for each stage in the trivium. The Fans: Classical proponents like the rigorous long term goals of Classical Education. Classical families may find the prevalence of materials and the clarity of methods and goals makes their lives easier. The Critics: Critics find classical education too rigid, especially the emphasis on memorization in the early years or the emphasis on Western great books over a more diverse approach. Some critics feel the classical approach to science is too old-fashioned. Finally, some secular homeschoolers dislike that there are so many Christian classical thinkers and some Christian homeschoolers dislike that classical education emphasizes mythology and secular thinkers. Selected Resources: Classical education is so popular in the homeschool world that you’ll see its influence in many programs, especially science and history programs aligned to the four year content cycle, Latin programs geared toward homeschoolers, and writing programs inspired by classical ideas. The Well-Trained Mind by Susan Wise Bauer is probably the most well-known classical homeschooling book and has a whole press of other titles available now. Many classical homeschoolers also like vintage books like The Lost Tools of Learning by Dorothy Sayers and The Paideia Proposal by Mortimer Adler. In a Nutshell: Unschooling is an approach that emphasizes the need for children to be free to choose their own educational experiences. Unschoolers don’t use formal curricula unless a child specifically asks for such resources. Instead, they emphasize the role of free play in the early years, and the way that all people learn naturally through daily tasks and observation. Unschoolers “strew” interesting resources like games and books that their children are welcome to discover and learn from. The Fans: Unschoolers love the relaxed approach and how individual and self-driven students can become. Unschooled students often have strong passions about which they’re well-informed and are unafraid to try new things or dive into adult level groups. The Critics: Critics complain that unschooling can become educational neglect or that unschoolers may be unprepared for the adult world. Some families like the idea of unschooling, but struggle to make it work in a meaningful way with their children. Selected Resources: The Unschooling Handbook by Mary Griffith is a good, basic classic on the philosophy. The works of Peter Gray and John Holt are popular among homeschoolers. The Teenage Liberation Handbook by Grace Llewellyn is an unschooling book specifically for teens. In a Nutshell: Project based learning uses projects or learning units to integrate subjects under a single topic. Students get immersed in a single learning experience that incorporates content from a wide variety of different disciplines. Families that follow this approach may also be fans of “writing across the curriculum,” an approach to writing that puts it in context of other subjects, such as writing about a topic in a unit study. Topics can be child led or parent led depending on the family. Reggio Emilla is a related project-based approach where the educator develops the project slowly over time based on the student’s interests. The Fans: Fans of project learning and unit studies like how it lets students really get in depth with topics. Many families like that they can customize learning to their child’s interests. The Critics: While you can buy unit studies for individual topics, some families find that the do-it-yourself mentality of project-based learning makes it difficult to implement. Selected Resources: Project Based Homeschooling by Lori Pickert is a book on child-led project learning for younger students. Many curriculum providers sell pre-made unit studies. Five in a Row is a literature based unit study program for young children and Moving Beyond the Page is a unit studies based total homeschooling program. In a Nutshell: Problem-based learning is a newer approach to learning that emphasizes giving students problems to solve and then letting them work together to discover solutions. Problems are often based in the real world, such as engineering a better bridge or a better mouse trap. Problems are meant to integrate a wide range of subjects, including skill subjects like writing and math, and content that students must research to create a solution, such as science, engineering, and geography. The Fans: A growing number of families find this approach can get kids excited about learning in a new way. The Critics: Many families like the idea of problem based learning, but putting it together yourself can be a challenge and materials are typically geared toward school groups. Others worry that finding a way to really introduce everything a student needs to learn through problem-based learning is nearly impossible. Selected Resources: Engineering is Elementary, Prufrock Press, and Royal Fireworks Press are three providers that have some premade problem based learning units. Destination Imagination, FIRST Robotics, Future City, and other competitions employ problem-based learning. In a Nutshell: This isn’t a particular approach or philosophy, but you’ll hear the term a lot in homeschooling circles to refer to families who choose to combine different approaches, such as elements from the rest of the methods and philosophies on this list and others. The Fans: Eclectic families like forging their own path and tend to design programs for their individual needs. The Critics: Some people aren’t comfortable figuring out how to combine a variety of different styles and approaches. Others worry that by doing so, there will be no cohesive focus to their homeschool plan. Selected Resources: Free Range Homeschooling by Laura Grace Wheldon is a good book that shares resources and stories of eclectic homeschoolers. Wondering where your style fits in or if you should explore one of the specific methods listed above? We would love to answer your questions!